After Walker’s first meeting as mayor adjourned, show-and-tell continued at the “changeover” reception as community members filled the hallways and lobby of the former Sport Chalet corporate office building that soon will contain City Hall. LCF purchased the 27,881-square foot building in early 2017 for $11.23 million (less than the original $14 million asking price, Walker said), and paid $5.7 million into escrow, carrying over the remaining payment on an interest-free promissory note. Davitt helped the city reach that deal, Walker said, saving the city, by her estimation, about $350,000. The decision to move was predicated by the fact that the current 7,160-square foot City Hall facility is considered inadequate for ADA accessibility, parking, office space, meeting rooms and staff work areas, city officials have said. The new City Hall will address those concerns and is expected to open either in late 2018 or early 2019. On Tuesday, the shell of the now-defunct sporting goods giant’s former corporate space was on display. 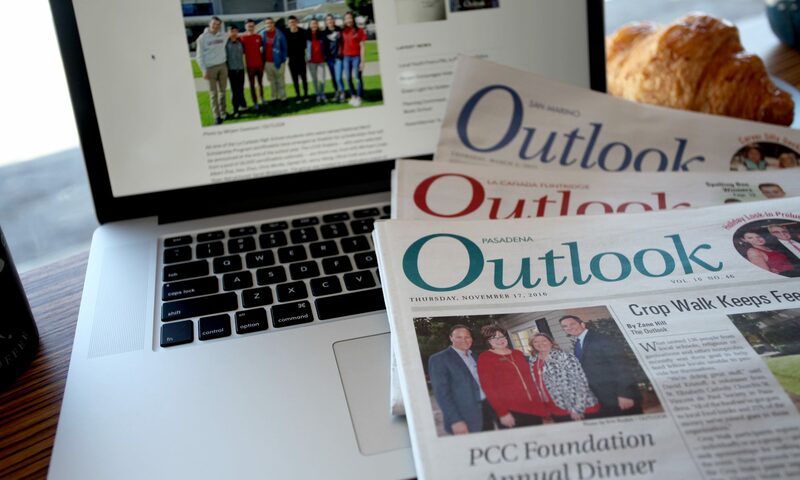 Community members enjoyed appetizers, wandered through aisles of empty cubicles and watched a virtual tour of what’s to come. “I was talking to Terry about it and we thought, ‘What a fun place to have a reception,’” Councilman Jonathan Curtis said. She said she’s heard from many people over the past few months wondering what’s going on with the move. She hoped Tuesday’s first-hand visit would help answer some questions about what’s anticipated in the space. The preliminary plan, she said, is for the second floor to be occupied by city staff, with part of the first floor being leased and the other portion dedicated to council chambers, a conference room and a kitchen. “We’re trying to make this something that the whole community can use,” said Walker, a longtime LCF resident and civic volunteer who chaired the Planning Commission before joining the City Council in 2015. 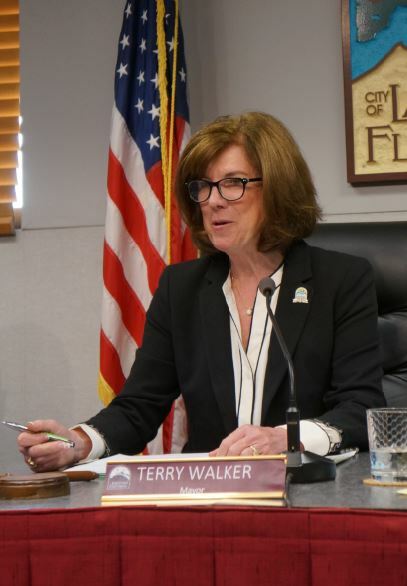 In the city’s current council chambers, packed with people Tuesday, Walker identified more of her plans for the forthcoming year, including maintaining an emphasis on public safety. 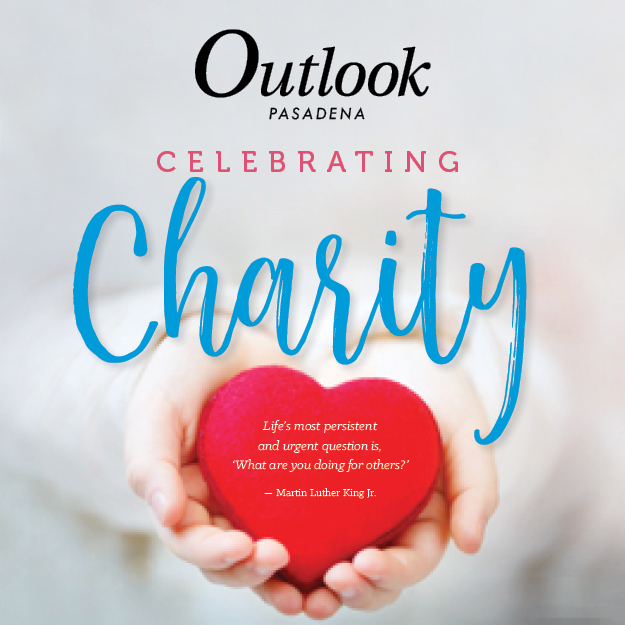 She spoke of the additional $12,000 recently allocated toward the Ring video doorbell rebate program, which allows LCF residents to purchase the home security system at half-price. Already, the city has dedicated $12,500 to the popular program. Beyond that, the city recently spent $40,000 for directed Sheriff’s patrols intended to help thwart residential burglaries — of which there was none in March, City Manager Mark Alexander said. Walker, who previously served three terms as president of the LCF Chamber of Commerce Board, also said she’ll work to continue fostering economic development in the city. She and her colleagues also commended — and teased — Davitt for his service during his second term as mayor. Walker said they especially appreciated his leadership following the death of Councilman Dave Spence last May. And as his tradition, Alexander had some parting gifts for Davitt, including a pair of handcuffs and a “SWAT” vest — items illustrative of Davitt’s crime-fighting efforts in the past few months. 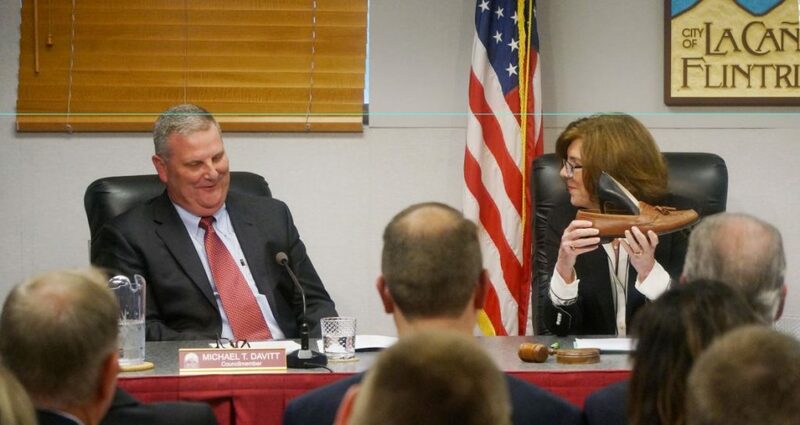 “I’m very appreciative of everyone’s kind words,” said Davitt, who remains on the council, and also will continue in his role as president of the California Contract Cities Association. 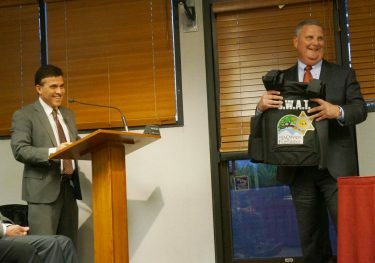 City Manager Mark Alexander offers outgoing Mayor Michael Davitt parting gifts, including a pair of handcuffs and a “SWAT” vest to illustrate Davitt’s crime-fighting efforts. 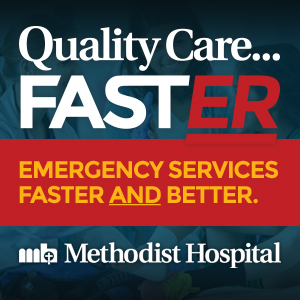 “We don’t get paid a lot of money to do this, and it takes a lot of time and sometimes there’s some stress involved, but I don’t think I would do it or enjoy it if it wasn’t for the people I serve with and also the staff. 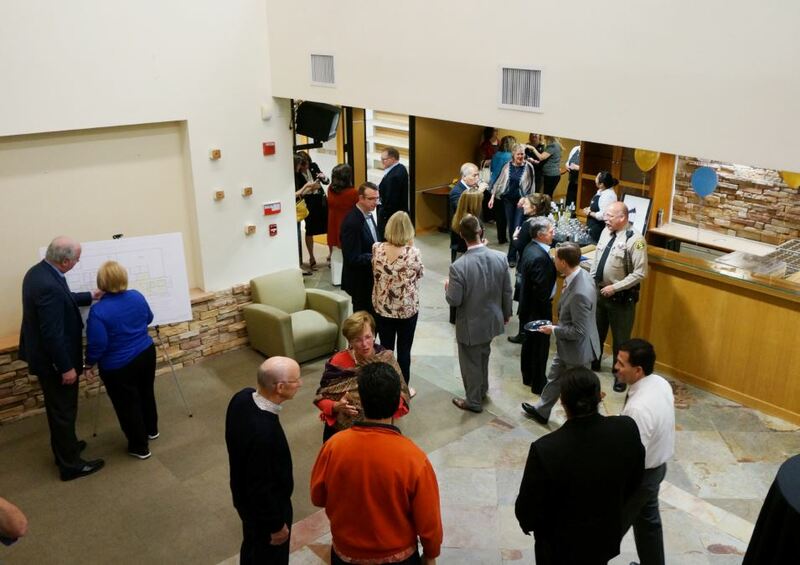 Mayor Terry Walker invited community members to tour the inside of what will soon be the La Cañada Flintridge City Hall during a “changeover” party after the City Council meeting Tuesday night.